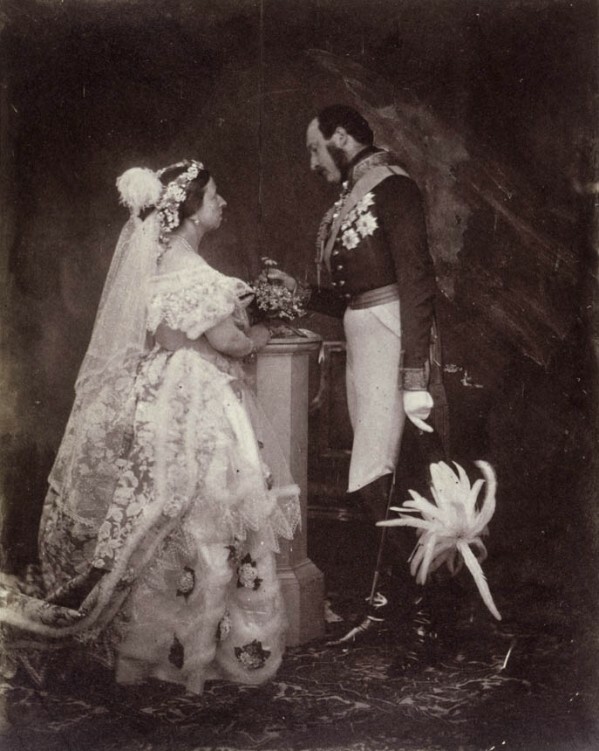 It is said that the first Wedding Portrait to be photographed was that of Queen Victoria and Prince Albert. The royal couple married in 1840, but this picture was recreated for the camera in 1954, and taken by royal photographer Roger Fenton. By the mid 1800s, wedding photography was popular among high society, but because of its high cost, couples had only one wedding portrait taken, and they wore their best clothes, and not necessarily their wedding attire. It wasn’t until the very late 1800s that people began to pose wearing their wedding clothes.